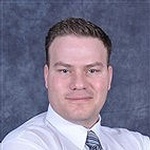 My name is Jay Heroux and I’m a Licensed Mortgage Agent with Dominion Lending Centres. Dominion Lending Centres is Canada's national mortgage and leasing company with more than 2,200 members offering free expert advice across Canada – taking the hassles out of the mortgage process and simplifying your life. With access to more than 90 lending institutions, including big banks, credit unions and trust companies, that offer a vast array of available mortgage products. Customer service is my passion, and I bring this enthusiasm to finding clients the best mortgage for their individual needs and goals. An independent mortgage consultant, I have built my business on offering honest, impartial advice and attention to detail. Contact me for a free, no-obligation consultation on how you can get the mortgage financing that suits your individual situation. Mortgages on your time – I come to you wherever and whenever. No “business hours”. I offer you exceptional customer service – I will guide you through the mortgage process and answer all your questions, so there will be no surprises when the time comes to close. You’ll get a mortgage that suits you – I have access to many different innovative mortgage product options, including variable, fixed, capped rate mortgages and secured lines of credit, and more. I have the experience – I can get even difficult deals done. I am independent – I offer my clients professional advice that is always impartial, and based on their unique needs and goals. I would welcome the opportunity to be of service to you – I aim to make the entire mortgage process as smooth as possible.